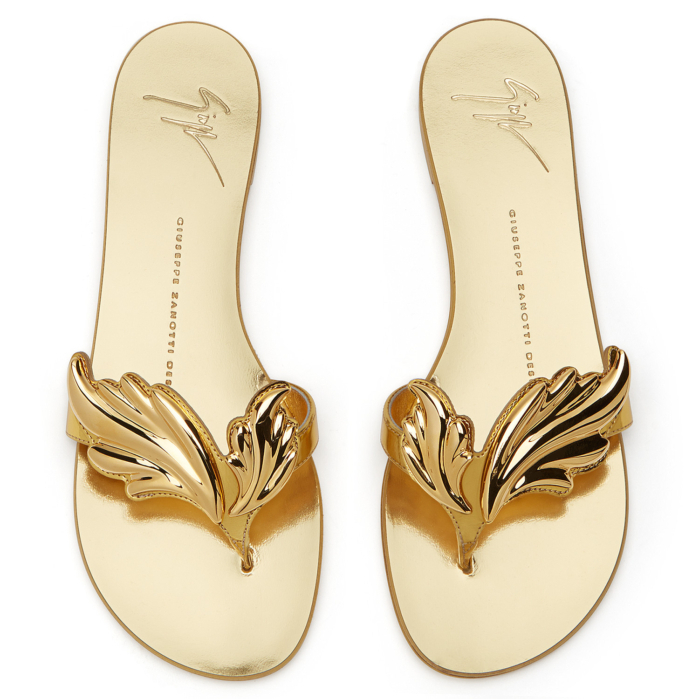 Glowy: Shoe Of The Day: Giuseppe Zanotti Design Cruel Flat Slippers..
Shoe Of The Day: Giuseppe Zanotti Design Cruel Flat Slippers.. I know most of us are used to the Guiseppe Zanotti shoes and most especially the flame design heels, but the best part is that when you get tired of wearing the heels, you can always swap the heels for the same flat slippers with same design. The metal flame on these sandals is a signature Giuseppe Zanotti accessory. With just one placed on each foot and the metallic hue picked up in the sole and strap, this flat design offers a sophisticated summer take on the look. The Guiseppe Zanotti design is one of the most popular designer shoe afther the red bottom shoe here in Nigeria, ya'll will agree with me on that.